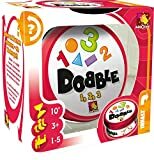 Manufacturer’s Description: Dobble is the award-winning visual perception card game for 2-8 players aged 6 and above that can be played by anyone, regardless of age and interests. 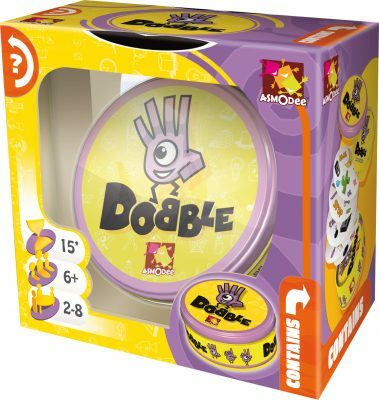 In Dobble, players compete with each other to find the one matching symbol between one card and another. 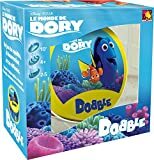 Every card is unique and has only one symbol in common with any other in the deck. The match can be difficult to spot as the size and positioning of the symbols can vary on each card. 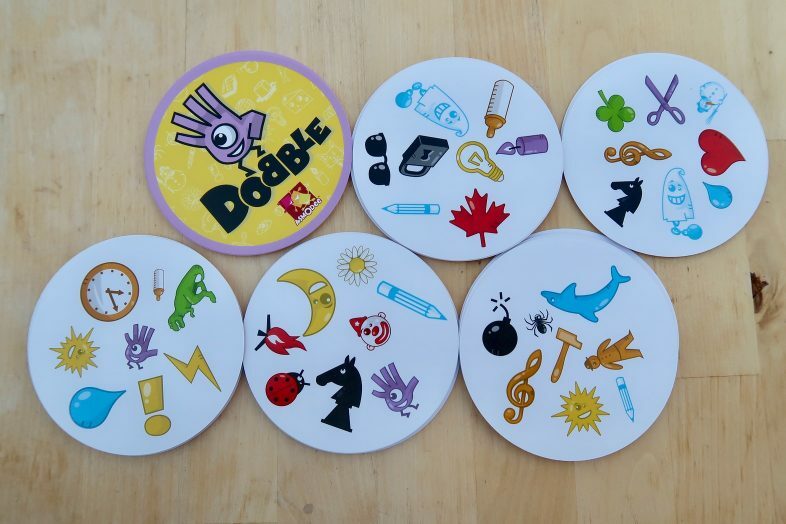 Once a player finds the match, they shout it out before other players and either take the card or place it somewhere else, depending on which of the 5 mini-games they are playing. 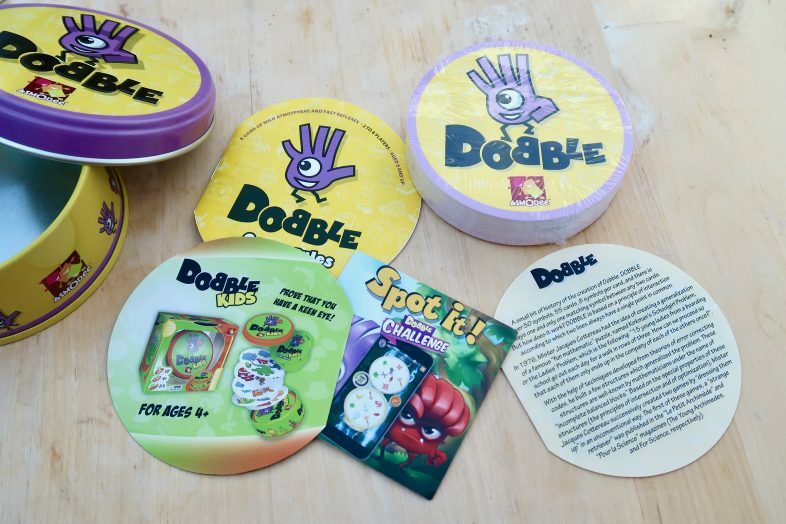 Review: Dobble is a fast thinking card game perfect for some quick family fun. 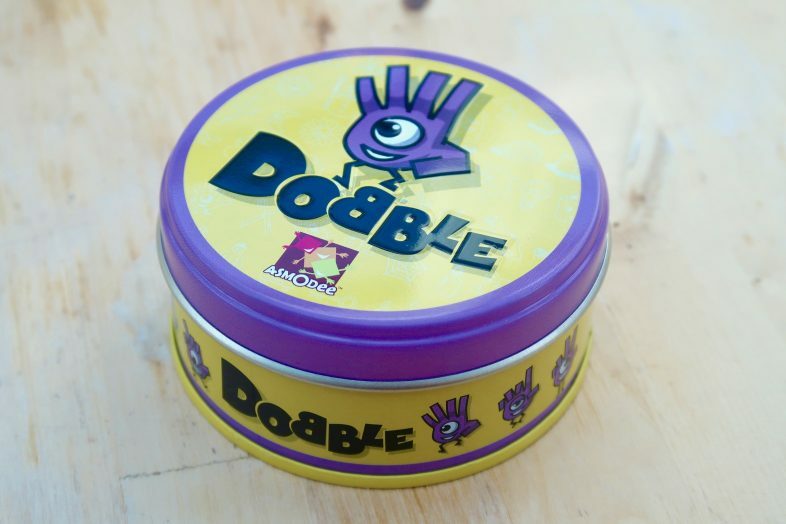 We’ve had Dobble for a few years now, and so this new tin has gone to live at Grandma & Grandad’s house down in Cornwall. 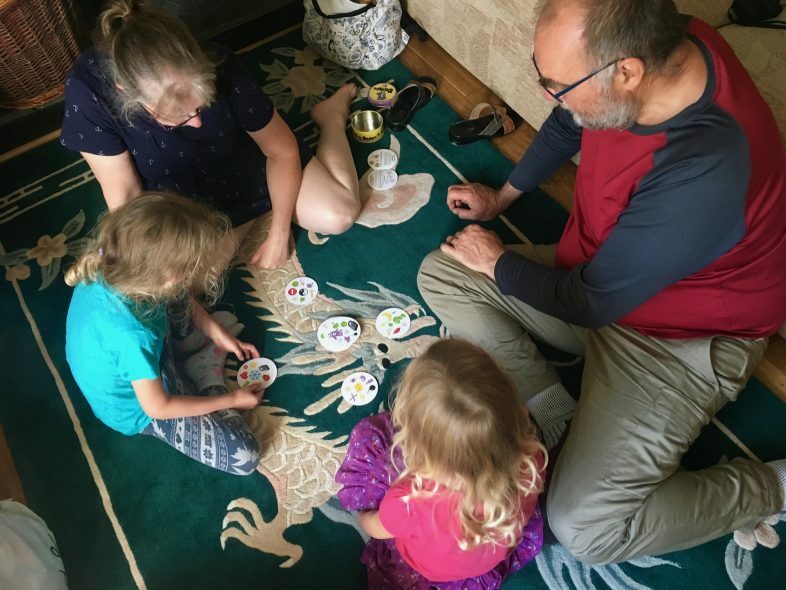 The girls love to play games with their grandparents when we visit, and they played dozens of games when we visited in the summer. 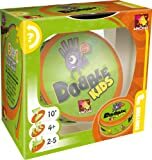 Dobble comes in a smart little round tin, perfect for throwing into a bag for family trips or visits. Inside the tin you get a set of 55 round cards, a little bit of history about the game, and an instruction leaflet which outlines several different ways you can play the game. 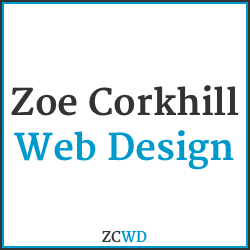 Ingeniously, every card has a matching symbol with any other card from the tin. With over 50 symbols and 8 symbols per cards, it’s not always easy to spot the match, but it’s always there somewhere! 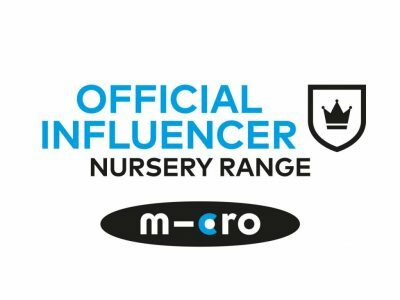 All of the different mini games are based around the concept that every two cards have one symbol in common, and both girls really enjoy the variety of ways to play. 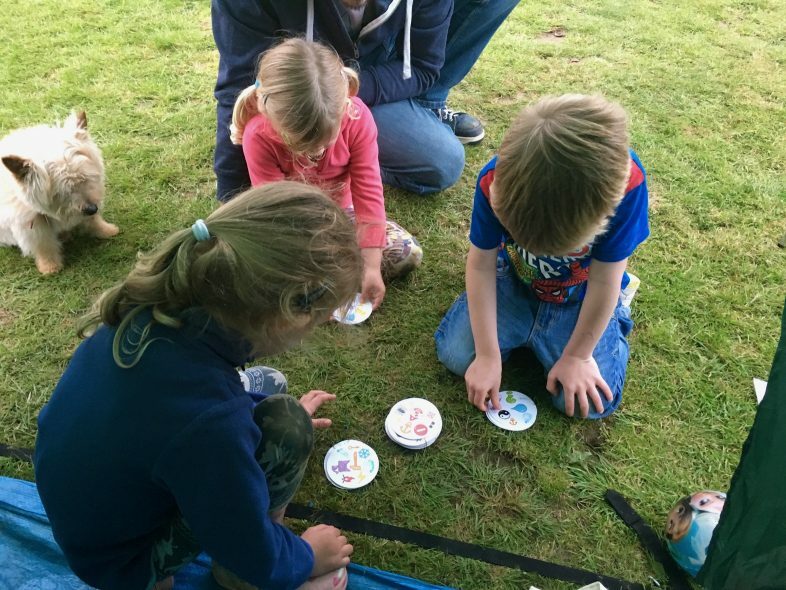 We took our tin of Dobble camping with us in the holidays, and when the girls made friends with a little boy they brought him back to our tent to play a game. They stuck with the first and most basic game, Towering Inferno, where each player has to collect as many cards into their pile as they can by spotting the matching symbol between their top card and the top card on the central pile. 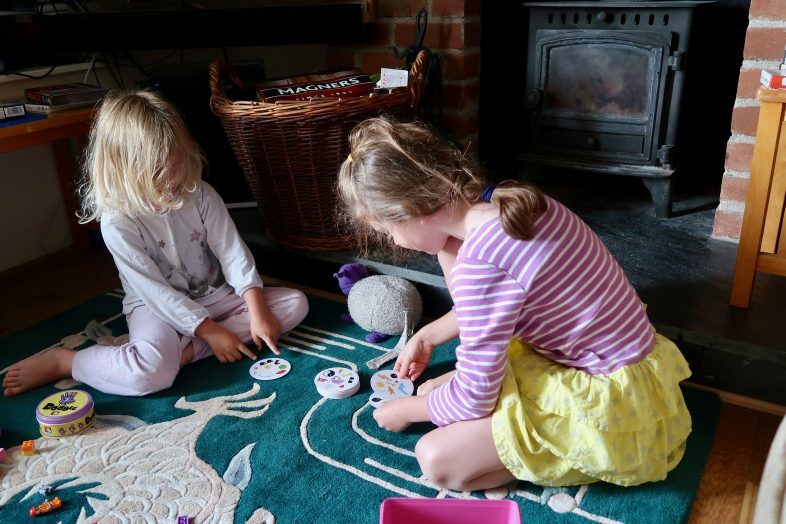 When we took the girls to my parents for our summer holiday in Cornwall the girls played lots & lots of Dobble, exploring the different ways to play and introducing their cousin Izzy to the game, too. In mini game 2, The Well, players start with an equal amount of cards and have to match them to the top card in the middle pile, so basically the first game in reverse. Game 3, Hot Potato, is played in rounds and is a lot of fun; you all start with one card each and have to get rid of your card to another player. 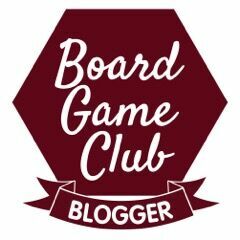 Games 4 and 5 are both equally as fun – the girls especially liked The Poisoned Gift, where you get to match the middle card to other player’s top cards, and then foist the card on them. The little monsters delighted in making me have lots of cards! 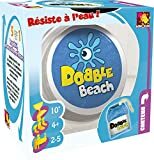 As you can see Dobble is a brilliant family game, and as you can play with anywhere from 2 to 8 players, it is also suitable for families of different sizes. 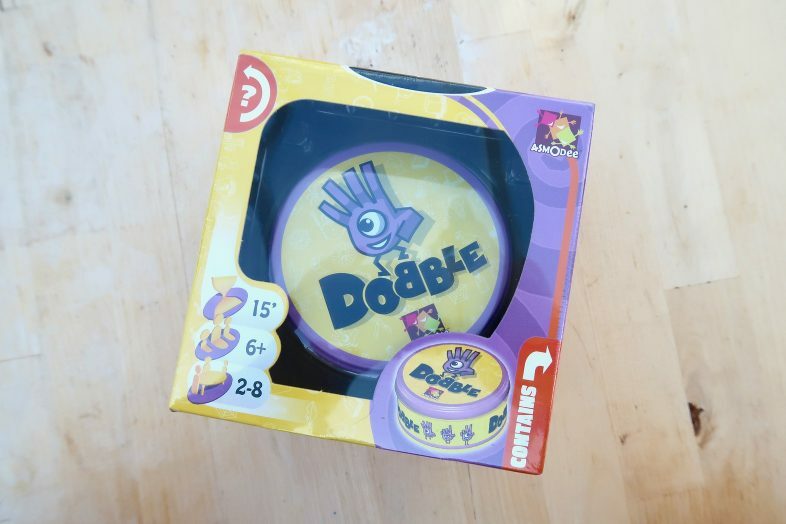 5 stars for Dobble.